Sherman’s March to the Sea proved to be a decisive campaign deep in the heartland of the South to which many have claimed was a criminal act but, in examining the facts, was nothing of the sort. Beginning in November 1864, approximately 60,000 Union soldiers left the city of Atlanta determined to reach the Atlantic coast while removing Georgia’s ability and will to contribute any more to the Confederate cause. This bold move was at first cautioned by Lincoln and Grant who were unsure of the likelihood of success but, through Sherman’s conviction and desire, was ultimately granted approval. The march has since gone down as one of the most storied and controversial undertakings of the Civil War and arouses an almost mythical stature for its followers. Sherman’s men were products of the 19th century and so did carry out acts that today would be seen as unacceptable but they were no criminals and committed no war crimes. Member Article: Was the Civil War Modern? – No. After the Second World War, many American Civil War historians came to argue that the Civil War was the first modern/total war. As summarized by Mark Grimsley, in The American Civil War: a Handbook of Literature and Research this theme includes a number of contentions. Troops armed with breech-loading infantry arms and artillery, primitive machine guns, and ironclad ships, early balloons, and trench warfare in the Civil War are cited as evidence. The use of railroads, steam ships and riverboats, and telegraph are said to have affected strategy. New mass armies of volunteers and emphasis on industrial capacity influenced battles and campaigns. The status of civilians as legitimate targets of armies and strategy may be the most significant aspect making the American Civil War the first modern and total of the new period of war, so the argument goes. Although a common theme in American Civil War historiography, recent scholarship has begun to question this interpretation. The idea of modern war is an imprecise term. Any war is modern for its own time. The reference to “modern war” is more reasonably meant to distinguish twentieth-century industrial-age war from previous periods. The question should be at what point was truly “modern” industrial war achieved as opposed to simply partial development. The term “Total War” is properly and clearly a twentieth-century term and phenomena that is not applicable to campaign conditions prior to 1900. Following the Battle of Fredericksburg, December 13, 1863 the Army of Northern Virginia went into winter quarters along the south bank of the Rappahannock River. Confederate Lieutenant General Thomas J. "Stonewall" Jackson's headquarters was at the Moss Neck Plantation eleven miles southeast of Fredericksburg. General Robert E. Lee and Major General J.E.B. Stuart made camp near Hamilton Crossing within 8 miles of Moss Neck and about four miles south of Fredericksburg. The proximity of these headquarters allowed frequent contact between the staffs during the winter of 1862-1863. Few people admire a spy who lives by duplicity, subterfuge and lies, even if he or she is your ally. However, Timothy Webster was a man of honor serving an honorable cause. And he was the first Union spy hanged by the Confederates for it. Webster was born into a large family in Newhaven, Sussex County, England in 1822. Foreshadowing the mass emigrations to come, the Websters moved to Princeton, N.J. in 1830. About ten years later, he moved again, to New York City, and in 1841, at the age of 19, he married 23-year-old Charlotte Sprowls. A year later their first child, a son, was born. They would have four children in all. While Webster had been trained as a machinist, the need to support a family led him to become a policeman. The Municipal Police Act, signed into law in 1845, set up a larger police organization that was the foundation for the modern New York Police Department. The Battle of Gettysburg during the American Civil War is one of the most researched and written about events in world history. A great many historians have researched, interpreted, analyzed and re-interpreted what happened leading up to, during and after these three epic days of battle in the Pennsylvania countryside. Run a search through Barnes & Noble or Amazon’s websites on Gettysburg and you will find literally several thousand books on the subject. Historians, scholars, and persons from all walks of life have debated and argued over these three days like few other events in history. The Battle of Gettysburg occupies a unique place in American history. Taken together with the surrender of Vicksburg, Mississippi on the day following the battle’s conclusion, Gettysburg marks a dramatic and decisive turning point in the Civil War. With Vicksburg in Union hands, the Confederacy was split in two and the Union now controlled the Mississippi River in its entirety. With defeat at Gettysburg, the Confederacy would never again be able to mount a major offensive in the East. The momentum of the war swung irrevocably against the Confederacy. At night, Harpers Ferry, West Virginia, can be a world class spooky place. The tiny town sits in a triangle of land, a valley surrounded on all sides by hills, at the point where the Shenandoah River flows north into the Potomac River. Across the Potomac is Maryland, most dramatically represented by Maryland Heights, almost literarily looming over the town. Just a few hundred years to the east is the border of Virginia. To the south and west is West Virginia. Harpers Ferry was part of Virginia before the American Civil War, before the creation of the state of West Virginia. Militarily it was in an odd situation. Before the war, one of the two major Federal armories was in Harpers Ferry, taking advantage of the ready source of water for hydropower. The war took care of the armory rather quickly. The Federals tried to burn; the Confederate took what did not burn. The one who writes the history is oftentimes the one who receives the glory. This is especially true in military history. Those who survive the battle are able to tell their story known to the public. In some cases, those who die in battle can either be relegated to obscurity or their achievements are underrated because there is no one to tell their story. The Lieutenant-Colonel of the 140th New York at the Battle of Gettysburg was one whose story is relatively unknown. The town of Gettysburg had grown in size and importance once the railroad had come to town. Gettysburg was a crossroads town and after the war had begun, supplies had moved through this bustling Pennsylvania town. In the waning days of June 1863 both armies began to move toward Gettysburg. The town was about to move into immortality and hold a place forever in American history. The early days of April 1862 didn't turn out well for Henry Morton Stanley. A few months into his enlistment in the Dixie Greys—the 6th Arkansas Regiment—found the young man marching toward the disastrous Battle of Shiloh. This would set him on a course he couldn't have imagined. Stanley wasn't his real name, nor was he an American—just an Englishman from Wales who liked to read and write and happened to find himself in Arkansas when war broke out. Joining the Dixie Greys came as much from the lure of adventure as patriotism. Then, on the morning of April 7, he found himself virtually the only soldier in gray facing a sea of bluecoats. His fight at Shiloh was over when a Yank shouted, "Down with that gun, Secesh, or I'll drill a hole through you!" Member Article: Special Order 191: Ruse of War? On September 5, 1862, General Lee crossed his army over the Potomac into Western Maryland. It had taken him four months to drive Lincoln's armies out of Virginia and the effort had left his soldiers staggering. He desperately needed to get them into the Shenandoah Valley, the only place within a radius of sixty miles from his position, after the fierce battle at Manassas, where they could find subsistence, rest, and reorganize. But, in turning his army back from the environs of Washington, it was impossible for him to lead it directly across the Blue Ridge into the Valley. Lincoln's armies would quickly consolidate under McClellan's command again and move immediately toward Richmond, and he would have to hurry his soldiers across the wasteland of Northern Virginia to intercept them. Only one strategy would keep the enemy away from Richmond while he marched his army to the Valley and that was to move there indirectly, through Maryland. On April 20th, 1861 the people of Belvidere, Illinois met at the local courthouse in response to President Abraham Lincoln's call for the military enlistment of 75,000 men following the surrender of Fort Sumter to Confederate forces at Charleston, South Carolina. Prominent citizens made fiery speeches, with Stephen A. Hurlbut, attorney at law and a friend of Lincoln, delivering "one of the most ringing and soul-stirring speeches that ever electrified an audience" according to one newspaper reporter caught up in the excitement of the moment. Hurlbut was the first to sign the enlistment roll and by the end of the month a full company of 115 men had signed on. The men elected Hurlbut Captain of the company. It was snowing in Manchester, New Hampshire on January 24th, 1862 as the men of the Eighth New Hampshire Infantry boarded a southbound train and left the Granite State. Organized in the fall of 1861, the regiment was mustered into federal service on December 23rd with Colonel Hawkes Fearing, Jr. in command. Fearing was a Manchester businessman who had served in a militia unit in his native Massachusetts. The American Civil War was the first war to include the use of railroads to move troops to a threatened point effectively. The Confederates used railroads frequently throughout the war, taking advantage of their interior lines, to move troops quickly from point to point; specifically the Battle of Chickamauga was decided by the railroads. The Confederacy defeated several Union armies in this fashion throughout the war. The purpose of this article is to present to the audience an outstanding example of the implementation of maneuver warfare. In order to do so, this campaign will be analyzed using the elements derived from Robert Leonhard's work, "The Art of Maneuver." This analysis will focus on how well Lt. Gen. Thomas J. "Stonewall" Jackson utilized the elements of time, identifying the enemy's center of gravity, space, and the forces used in his hugely successful campaign. The aim of this article is to present to the reader an example of an unsuccessful maneuver campaign. For this example, we will scrutinize the Fredericksburg Campaign of 1862. 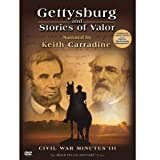 The audience will see this campaign from the Union perspective where concentration will be placed on how Maj. Gen. Ambrose Burnside developed his campaign strategy, how he executed the campaign as well as the maneuvers that followed the Battle of Fredericksburg which resulted in the "Mud March." The emergence of mass-distribution newspapers in the decades before the American Civil War forced U.S. military leaders to face one of the stickiest dilemmas for their democracy. The desire of free people to know about their military collided with the need for military leaders to plan strategy and deploy troops without the enemy knowing the details of those plans. Since man picked up a weapon against his fellow being, he has always looked for a way to defeat his opponent in a more efficient and lethal way. It is our nature to seek out and exploit the weaknesses of our opponent thus maximizing our gain verses our risk. It's this thinking that brought about the evolution of unconventional warfare, or "Special Operations," and the men that mastered its effective use. This particular work looks at comparing the Overland Campaign of 1864 against Sun Tzu's six strategic principles that were extracted from the, "Art of War" by Mark McNeilly through his work, "Sun Tzu and the Art of Modern Warfare." The six principles that will be used are; win all without fighting, avoid strength, attack weakness, deception and foreknowledge, speed and preparation, and shaping the enemy. In four years of civil war stretching from the deserts of New Mexico to the valleys of Vermont, more than 620,000 Americans died. Many of those soldiers were victims of violent combat, shot by rifles or pistols, run through by bayonets, or blown apart by cannon fire. However, many of those soldiers were also victims of a combat style that combined nineteenth century technology and weapons with eighteenth century tactics. Along U.S. Highway 91, in the Southeast corner of Idaho, twenty miles from the Idaho/Utah border is the site of the Bear River Massacre. The site is one of the best kept military history secrets in America. On the 29th of January, 1863, during the American Civil War occurred one of the greatest massacres of Native Americans by U.S. troops in American history. This paper will present the activities of four Connecticut regiments during the Antietam Campaign as well as participation of two prominent Connecticut generals, Maj. Gen. Joseph King Fenno Mansfield and Maj. Gen. John Sedgwick. Mansfield was mortally wounded during the Battle of Antietam while Sedgwick was seriously wounded. To help understand these two regular Union army veterans, their non-military lives and their military careers before the Civil War will be summarized. 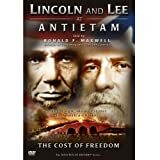 To help set the stage, an overview of the Antietam Campaign including events leading up to it will be presented first, followed by details about the regiments, and finally, the two generals. Member Article: Was Nathan Bedford Forrest the Best Confederate Cavalry Leader in the West? Had the Civil War not occurred when it did allowing Nathan Bedford Forrest to serve as a cavalry officer, we very likely would not be studying or even reading about him today. Of course the same could be said about Ulysses S. Grant and many other notable Civil War commanders. What separates Forrest from other successful general officers are his accomplishments despite his almost total lack of education or military background and his impoverished upbringing. His rise from private to lieutenant general was clearly earned, not gained through political influence or social standing. His military success are due to virtually every element which made up this man, but more importantly, how he conducted his martial career given his physical, mental and spiritual makeup is what arguably made him the best Confederate cavalry general during the war. Saturday, July 30, 1864, Federal forces besieging Petersburg, Virginia, completed tunneling under Confederates lines, blew a giant hole in the lines, stunned their enemy in the area, and then sit and waited before attacking. The net result was a lot of dead soldiers, and a new phrase "snatching defeat from the jaws of victory," created by Abraham Lincoln. Historic Photos of Petersburg is second in a series highlighting the key figures and events of the Civil War. Turner Publishing's Historic Photos series has been acclaimed as a staple in the collection of anyone who loves history. Turner Publishing has assembled a comprehensive collection of photographs surrounding the monumental Battle of Petersburg and its aftermath. These historic photographs are reproduced in a large, high-quality format. The 10 x 10 gift book showcases the black-and-white images, and John and Emily Salmon narrate the experience in knowledgeable, well-researched text, telling the story of the Overland Campaign like never before. On November 28, 1863 the Confederate Army of Tennessee lay in camp at Dalton, Georgia, discouraged and defeated. It had been only 76 days since the army, reinforced by Longstreet's Corps from the Army of Northern Virginia, had finally won a long-sought victory over the Yankees at Chickamauga Creek. But their enigmatic commander, General Braxton Bragg, had frittered away the victory, electing to besiege rather than assault the beaten Federals in Chattanooga, then with President Jefferson Davis' misguided encouragement, sending General Longstreet and his corps away on a fool's errand to capture Knoxville. The sinking of the troop transport Maple Leaf on April 1, 1864, by a Confederate mine floating in the St. Johns River near Jacksonville, Florida, is an event unknown even to most people well-versed in the history of the American Civil War. It took place in a relative backwater of that conflict, resulted in comparatively few casualties, and determined the outcome of no major battle or campaign. Yet, a colorful story lies behind the Maple Leaf and the people she carried, on dinner cruises and later to war, in cool Northern waters and in warm Southern ones. It is a story of bustling commerce and small-town recreation in the mid-19th century Northeast, as well as of military daring, frustration, and suffering along the coasts and rivers of the rebellious Southeast. The story of the Confederate States of America usually starts in places like Charleston and Richmond, goes on to Nashville and Montgomery, and winds up at New Orleans and Vicksburg. But the Confederacy did not end at the Big River. There were three Confederate states, and potentially a fourth beyond the Mississippi, and some visionaries dreamed of extending the young nation clear to the Pacific Ocean. But through most of the Civil War the Trans-Mississippi was a backwater, an afterthought to events happening elsewhere. There were many reasons for this, but perhaps the most important was a fierce battle fought in the wilds of northwestern Arkansas on March 7-8,1962. When Major General Henry Halleck assumed command of the Western District of the United States Army in November 1861 he inherited a mess. "ADAMS COUNTY TO ARMS!" read an advertisement in Gettysburg's Star and Banner newspaper on July 17th, 1862. President Lincoln had issued a call for 300,000 more troops, and Gettysburg was preparing to answer that call. The ad which appeared that day appealed to the "patriotic, able-bodied men of Adams County to come forward immediately and enroll themselves in the defense of the Union." Thus began the recruitment of Companies B and G of the 138th Regiment of Pennsylvania Volunteers. This regiment, like many of the regiments in the Civil War, was composed of citizen soldiers who had volunteered to leave their families, homes, and jobs to serve the United States. In fulfilling their duty to their country, many men would fall wounded, killed, or victim to disease. Others would survive the war and go on to do great things in their own private lives. All should be remembered. This is a narrative history of the 138th regiment. In late 1864, with the war looking bleak for the Confederacy on all fronts, the Army of Tennessee under the leadership of General John Bell Hood marched north on the last great Confederate offensive of the war. This is a brief account of that offensive through the Battle of Franklin on November 30, 1864. "He is not impressed with the necessity of building ships." John N. Maffit entered those prophetic words in his diary following a meeting with Jefferson Davis shortly after the civil war began. Future Captain of the commerce raider CSS Florida , Maffit was one of the first United States naval officers to resign his commission and offer his services to the South. Those ten words make a fitting epitaph for the Confederate States Navy, and with it, the Southern cause. "Sir--Your requisition is illegal, unconstitutional and revolutionary; in its object inhuman & diabolical. Not one man will Missouri furnish to carry on any such unholy crusade against her Southern sisters," once spoke Governor Claiborne Fox Jackson in response to Abraham Lincoln's call for 75,000 recruits to quell the Rebellion. As if to cement his already treasonous position, Jackson would add for good measure to all of Missouri, "Rise then, and drive out ignominiously the invaders who have dared desecrate the soil which your labors have made fruitful, and which is consecrated by your homes!" Clearly, Jackson was rearing for a fight -- and surely enough, he would have it and much, much more. The Tenth New Jersey Infantry was organized under the provisions of an act of congress approved July 22 1861, and by authority issued by the war department. It was directed to private residents of the state of New Jersey, and not in any way under the control or supervision of the state authorities. When the organization of the regiment was completed on Oct 1st it proceeded to Camp Beverly N.J. Then from there went to Washington DC on Dec 26th 1861 with 35 officers, 883 non commissioned officers and privates, a total of 918 men. After they marched to Camp Clay on the Bladensburg turnpike a mile from Washington DC, they were reorganized and designated the Tenth New Jersey Infantry. This article is taken from a biography of General Zook, a life-long bachelor who was mortally wounded in the Wheatfield at Gettysburg on the 2d day [02 July 1863]. He led the Third Brigade belonging to Brigadier-General John C. Caldwell's First Division, part of Major-General Winfield Scott Hancock's II Corps. We focus upon the center of that field about 3:00 p.m. on the 2d, after Major-General Daniel Sickles moved his III Corps forward. The firing on Fort Sumter in Charleston's harbor traditionally marks the opening salvos of the Rebellion. But before this assault on April 14, 1861, there was another battle—the first shots of the Civil War—hundreds of miles to the south in Florida. On Jan. 8, 1861, United States Army guards repelled a group of men intending to take Fort Barrancas in Pensacola Harbor. Historians say that this event could be considered the first shots fired on Union forces in the Civil War. No American military figure is more controversial than George Armstrong Custer. A general and national hero in his twenties, his fabled death at the Battle of the Little Big Horn only increased his legendary status among his countrymen. But history can be fickle, and history lately has not treated the "boy general" well. His reputation has changed from grand, courageous hero to despised war criminal. Indeed, for many his persona now embodies the sins of United States policy toward Native Americans. Within two days after fighting had ceased at South Mountain, Union commander George B. McClellan moved his forces into position east of Antietam Creek near Sharpsburg, Maryland, opposite Rebel forces west of the creek. Still uncertain as to how many men he actually faced in Lee's opposing army, McClellan and his staff spent much of September 16th on a reconnaissance of the Rebel line, nearly 4 miles in length snaking west of the creek. Lee was missing A. P. Hill's "Light Division," which was still at Harpers Ferry, and other units had yet to arrive in Sharpsburg. This is how Shelby Foote, pre-eminent among historians of the American Civil War, describes Lee's insistence on committing his Army of Northern Virginia to the infantry assault forever after known as "Pickett’s Charge". Foote elaborates "...And that was the mistake he made, the mistake of all mistakes....and there was scarcely a trained soldier who didn’t know it was a mistake at the time, except possibly Pickett himself..."
31 CW Photos that will influence your take of the CW & Gettysburg. The most wanted, "Civil War Sniper, Jack Hinson"!? Great MHO CW articles written by regular poster's to this site! The dead of Antietam : rebels in the Bloody Lane. 1862 The Battle of Fredericksburg!